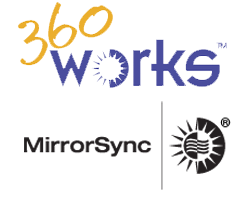 Join Jesse Barnum, President of 360Works and the Houston FMDUT Group, for a free presentation on Monday, May 14th, 6:00 pm (ET) on 360Works MirrorSync. If you've been wanting a tour around the latest version of MirrorSync, you won't want to miss this presentation! MirrorSync is the best way to sync FileMaker databases on an iPad, iPhone, or laptop without a network connection. Work on your own offline database at the fastest possible speed, and sync your changes with FileMaker Server when you have working network access. With MirrorSync, your users can work efficiently at a job site, their house, a coffee shop, or even an airplane, all without worrying about slow or non-existent wifi or cellular network access. MirrorSync can sync between any combination of FileMaker Pro, FileMaker Go, FileMaker Server, SQL database (MySQL, Oracle, SQL Server, or any database that supports JDBC), WordPress, Salesforce, and Amazon RedShift. For servers, MirrorSync allows a database to run in multiple locations, or to integrate different databases and make sure that changes to each server are reflected in the other server. Meeting Access: Click here to join meeting.